Have you ever wondered how the lives of great composers - especially when set against the social, political, and cultural context of their world - influenced their music? 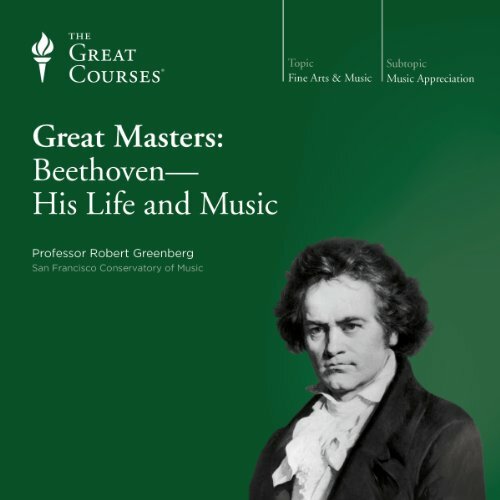 After listening to this perceptive series of eight lectures on the life and music of Ludwig van Beethoven, you will likely find that you hear his work in an entirely different way, with your insight informed by new knowledge of how Beethoven was able to create masterpieces from the crises of his life. You'll learn about the years of progressive hearing loss - ultimately to produce total deafness - and the understandable agony and rage such a fate would bring upon a composer. About his deep depression over the end of his relationship with the woman he calls his Immortal Beloved. About his pathological hatred of authority, his persecution complex, even delusional behaviors. But you'll also learn how each of these crises, and many others, served to drive Beethoven inward, to reinvent himself and redeem his suffering through art, creating disruptive works of profound passion and beauty that reinvented the nature of musical expression in the Western world. What did you love best about Great Masters: Beethoven - His Life and Music? I have been journeying with Dr. G for several months now. Whenever I feel at a loss, I grab a supplemental lecture and jump down the rabbit hole. So I have learned about the lives of Bach and Mozart, and about the concerto and look forward to learning about the symphony—while using “How to Listen to and Understand Great Music” as my foundation. I just got back from the life of Beethoven—amazing music, amazing but wild gent—not at all what I expected--his life was more difficult, more sad. But I am stunned by how he changed the course of music despite the struggles of his own life. I will listen to his music with a different ear. This audiobook covers Beethoven thoroughly and with humorous asides that are interesting. I really like the inclusion of first hand materials such as excerpts from letters and legal documents that give Beethoven and his contemporaries voice in the lectures. Professor Greenberg is spectacular at using voice and tone to express emotion. 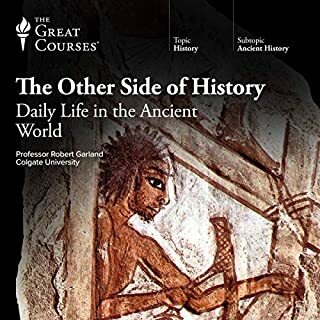 This further brings to life the readings of first hand sources in a way I wouldn't necessarily experience by simply reading the material myself. I found myself laughing at several points in the lecture due to the turn of phrase or exuberant interjection of emotion in the lecture. 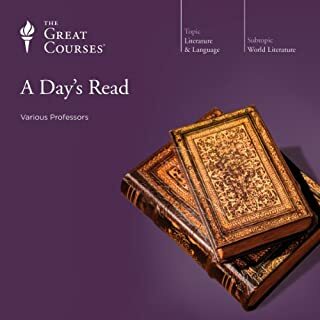 i also found that the professor was as good at expressing the sad portions of the lectures as well, such as Beethoven's frustration over his hearing loss. Robert Greenberg does a wonderful job. If you are into music his lectures are not to be missed. This is the seventh lecture I have enjoyed from the composer great courses.Two more to go Mahler and Shostakovich. Get them all you will love them and learn all the good stuff about how music is written and the lives of these amazing dysfunctional men. 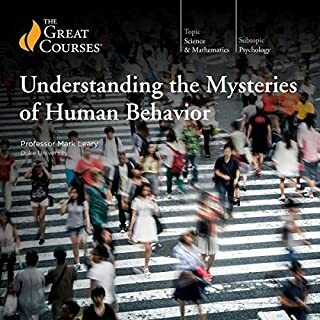 Normally, a Great Courses audible course is a treat I indulge in when I am on the treadmill. Today I was on the treadmill and started this course. Although I've been listening to or watching Great Courses for years - many dozens of them - It is the first Great Masters course I've tried. I became so thoroughly engaged that I couldn't stop listening. For the rest of my day off, while I went to the market, folded laundry, finished Christmas gift wrapping and did some holiday baking I listened. While I made our dinner I listened. When I normally would sit down in the afternoon and read for a couple of hours, I listened instead. I finished it in one day. This is a fascinating. engaging, amazing story. I have always rather like Beethoven's music, but I had no idea about his life. What an amazing character! And Professor Greenburg really brought him to life and brought him into MY life. He made the man seem as real to me as John Lennon or Annie Lennox. The Professor is passionate about music and I learned a fair amount about how Beethoven impacted the history of western music. I will seek out some of Beethoven's work and listen with more interest and appreciation thanks to this course. He Certainly Brings Beethoven to Life! I don't think you can be disappointed with a Robert Greenberg lecture unless you are a terrible stuffed shirt. He is so full of enthusiasm and knowledgeable about his subject you can't help but be drawn in. Just knowing these interesting tidbits of information about Beethoven makes listening to his amazing music that Greenberg samples for us so much more enjoyable. I listened to the lectures with my daughter while on a recent working vacation helping her out with her new business in Hawaii. So many times we caught each others eyes and smiled or outright laughed at Greenberg's enthusiastic descriptions of the composer's life. This is educational entertainment at its best. 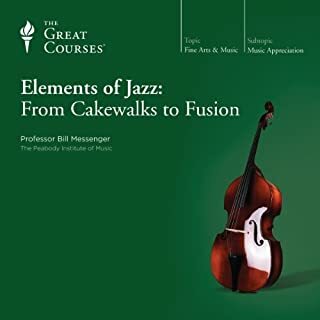 I came to purchase this current offering after listening to Greenberg's much longer course, How To Listen To And Understand Great Music, a spectacular experience of a much bigger scope, of 36 plus hours. 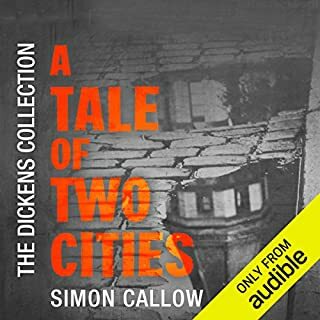 So, of course, I am recommending this audio lecture. This Great Master: Beethoven-- His Life and Music is a great find. The biography is non linear, told by a prizewinner professor, Robert Greenberg. The professor is a great enthusiast of Beethoven, and that shows in his lectures. He accompanies the biography with Beethoven music, and points out why that sonata is good, or not so good, and what was happening to him in that time. Great listening! Excellent. Not exactly irreverent, but not worshipful, down-to-earth telling of the story of the greatest composer so far. The book is entertaining, no, very entertaining, and informative. It had me laughing aloud, to my surprise. I expect to do something I haven't done before -- when it ends, immediately start it over. Then I'll look for others by the same author/reader. Delivery occasionally over the top, forgivable. Educational AND a rip roaring good time! This biography is not only educational but FUN! What a genius! What a life and the professor/lecturer is great, nary a dull moment. 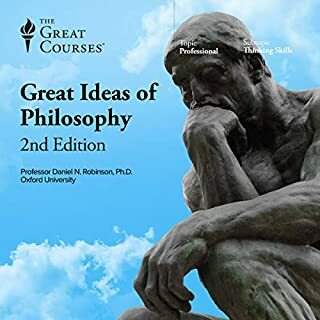 Sure, Beethoven was cranky but he had his reasons and after listening to this book, I have one of the greatest critic rebuff quotes of all time from the lips of maestro Beethoven himself !I could sit in this guy's class all day long and be enlightened. I plan on listening to more books in the series. Hoping others are as knowledgable and enthusiastic as this prof! How Beethovan did his best works following devastating trials in his life. Yes. Greenberg is great. He has passion and his use of language is awesome and refreshing. He is a good as many professional narrators. The ending of the 9th Symphony when the singer turned him around so he could see the reaction of the audience. I like this professor. He is inspiring because he knows so much about the subject of his courses. I can't imagine how long it must take him to write these lectures. He is passionate and funny/entertaining.